Beginners Night Tuesdays: For ladies who have paddled only once or twice. Basics about the board will be covered. This is not a lesson. 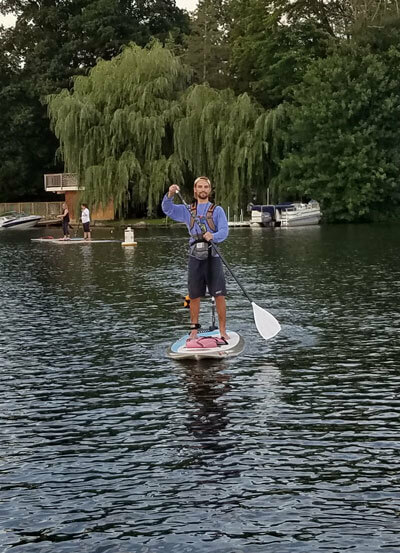 It is a casual social paddle in a calm area of the lake. A bonfire will be on the beach when we return. Snacks and beverages are welcome at the bonfire. Checkin 6:30pm. On the water by 7:00pm. Experienced Night Thursdays: For ladies who are experienced paddlers. This is not a lesson and no instruction will be given. 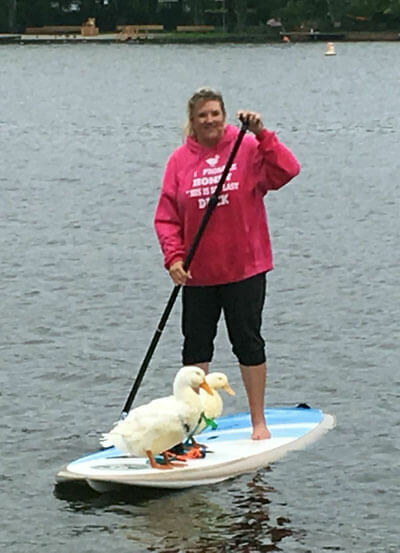 It is a casual social paddle in a calm area of the lake. A bonfire will be on the beach when we return. Snacks and beverages are welcome at the bonfire. $25 pp. Event includes board, paddle, personal flotation device (PFD), leash and board light. Contact jerseypaddleboards@yahoo.com or call 845-554-0787 to reserve a spot. Event times listed on calendar. This is a coed paddle. Join us for a casual paddle on Greenwood Lake and stop for lunch at one of the many waterfront restaurants. $20 pp. Event includes board, paddle, personal flotation device (PFD) and leash. For both the ladies and guys. Choose either a paddleboard or kayak. This is a guided evening social paddle on Greenwood Lake. A bonfire will be on the beach when we return. Snacks and beverages are welcome at the bonfire. $25 pp. Event includes board or kayak, paddle, personal flotation device (PFD), leash and board light. For both the ladies and guys. Choose either a paddleboard or kayak. This is a guided evening social paddle under the full moon on Greenwood Lake. This is not a lesson and you will be required the stay with the group. If you cannot stay with the group, you will be asked to return to beach. A bonfire will be on the beach when we return. Snacks and beverages are welcome at the bonfire. All participants must be able to swim. This event is adult only. Refunds are not given once a board leaves the beach, regardless of time on he water. $40 pp. Event includes board or kayak, paddle, personal flotation device (PFD), leash and board light.